The Fourth of July Holiday is a time for honoring the birth of our great nation. In honor of the holiday, area offices have announced their schedule. All federal offices will be closed on Tuesday, July 4, in observance of the holiday. They will resume their regular schedule on Wednesday, July 5. All banks will be closed on Tuesday, July 4, in observance of the holiday. They will resume normal operations on Wednesday, July 5. 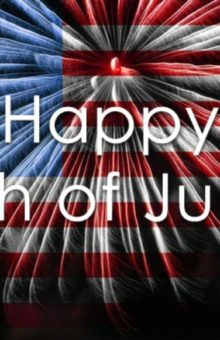 All state, county and municipal government offices will also be closed on Tuesday, July 4, for the holiday. They will resume their regular schedule on Wednesday, July 5. All Bladen County Solid Waste Convenience Sites will be operating on their normal schedule, 7 a.m. to 7 p.m. However, the Transfer Station will be closed on Tuesday, July 4, in observance of the holiday. Normal operations shall resume on Wednesday, July 5th.